Touted as possibly the single biggest competition of any sport in the country, the Private Companies Netball Club has to be netball's flagship when it comes to managing large competitions. It is an of-season competition which means it commences when the season proper (POMNA) tournament ends. 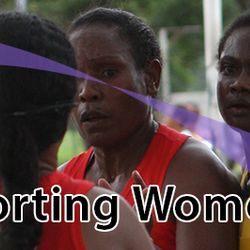 It serves well the empowering of women in sport, promoting healthy lifestyles, community and social and indivdual networking where sport is an important medium. For the last three seasons the club registered some 90 odd teams involving over 1,000 players. Considering that there are eight teams participating in each division and that each team has approximately 10 to 11 players and possibly three officials, the competition is quite a substantial sporting program. The 2013/2014 season was interrupted by preparations for the Pacific Games and the 2014/2015 season was abandoned for the same reason. The 2015/2016 has wonderful prospects considering the Rita Flynn Courts are fairly well renovated with new courts, a clubhouse and gym facility. 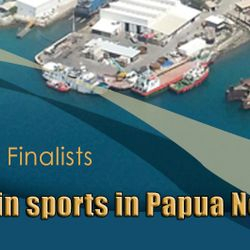 The PCNC only conducts its competition in Port Moresby which involves companies of the private sector operating in and around the national capital. 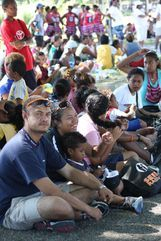 The concept however is not restricted to the nation's capital and is in fact emulated in part by the Sports Commission in Lae, Morobe Province. There, it is called the Private Companies Sports Competition and includes a number of sports including netball. 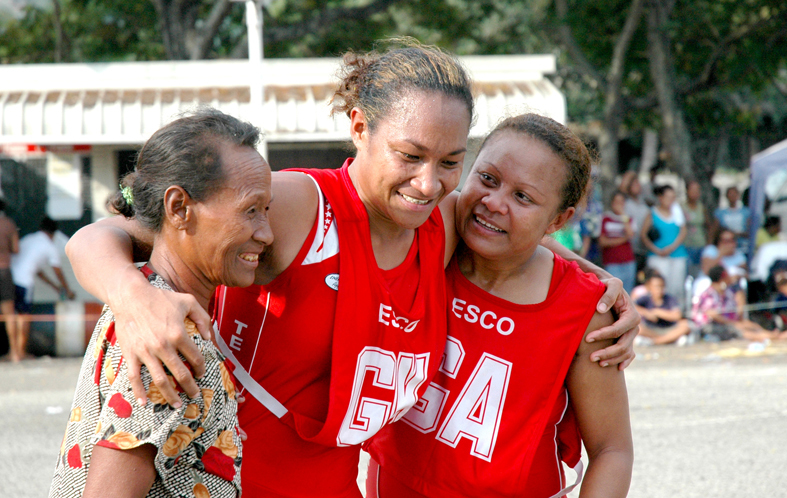 Spread across 11 divisions and conducted over some 5 and a half months of weekend matches, organisation and discipline are requisite attributes for the executive and working committees to ensure that matches are started on time, the appropriate match officials are in attendance and that there is compliance throughout the competition of acceptable netball standards and personal conduct. Click on the images or this link for more images from that game. Standards are maintained with the assistance of accredited netball umpires, a properly constituted match committee and where there are protests, a properly convening appeals and arbitration process. The competition is open to companies with sufficient female employees and/or the spouses/dependents of male employees, to form a netball team (minimum of seven players) and able to meet the cost of registration. Registration is a combination of team and player levies and is payable at the beginning of each season. Audit processed ensure only eligible employee's and/or their dependents are allowed to play. The competition usually commences after the staging of the annual National Netball Championships, with several weeks of trials to guage how well adjustments to divisions from the previous season are accommodated. Adjustments occur each year as champions from a lower division are promoted to the next division higher and the bottom teams are relegated. There have been instances however, where a team that has won the previous grand final has opted not to move up a division, preferring to remain at its current competition level. The season proper commences after a short trials period and the contest takes off in earnest. The duration of each season depends on the number of teams in the competition, however, it is an understanding between POMNA, who own and use the facilities at Bisini and the PCNC, that the off-season competition ends well before the commencement of trials for the normal POMNA competition. Between October of one year and April of the next, two rounds of round-robin games are played, culminating in a finals series where a winner is declared the champion for that division for the season and then .............. it starts all over again several months later. The season is punctuated with a break for Christmas and New Year. It is the country's premier off-season netball competition and though it continues to be a social event, originally designed to socially allow women to network and be entertained. It's resounding successes and achievements has made it a template for others sports to envy and emulate. It is professionally maintained by women of obvious capability and has been accountable for its actions and conduct, its earnings and expenses since its inception. Conducted every Sunday afternoon at the Bisini courts, the area becomes awash with activity unlike any other in the country. It attracts the informal markets to its perimeter and with a constant flow of people, family, friends, relatives and colleagues it simply becomes a fun day for both the novice and the serious netballer. At an Special General Meeting of members of the Club held on 17th October 2011 changes were made to the office bearer of the Club. Trials for season 2012/2013 commence after the close of the POMNA season. 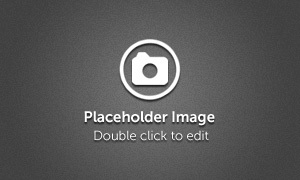 The new season is expected to begin in November 2012. A short break for Christmas will occur in December with a resumption of the season in mid January. The season is required to be completed before the POMNA competition starts in April 2011. For those intending to participate in this years competition, we recommend you use the following e-mail address to register your interest. Contact numbers will be provided on this page as they become available.